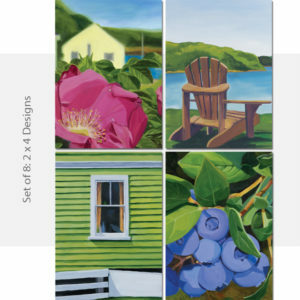 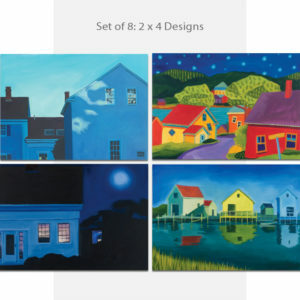 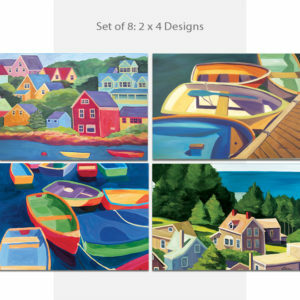 What better way to share the joy of coastal living than to send your love and kisses in these Catherine Breer cards. 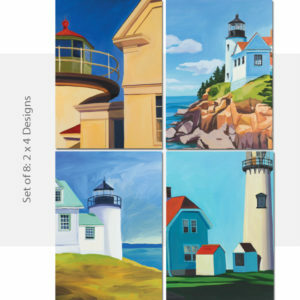 Four cardsets are dedicated to capturing the seaside romantic momenta — the rocking boats, the tranquil lighthouses, the soft summer breeze, and the magical night sky. 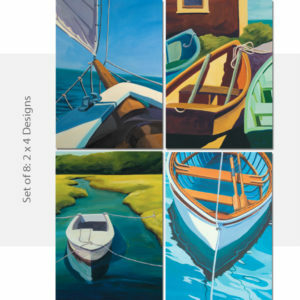 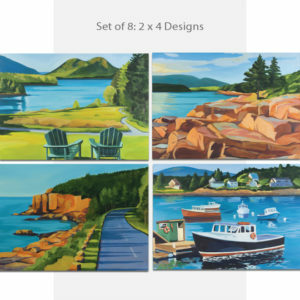 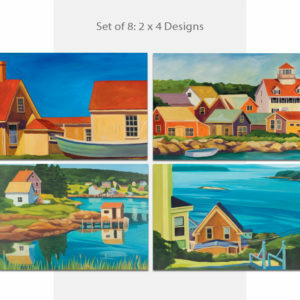 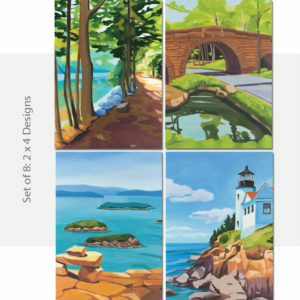 The other four cardsets are devoted to New England coastal scenes and the Acadia National Park. 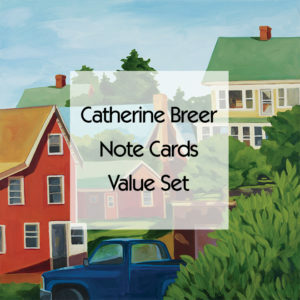 Each cardset contains 8 blank cards created from Catherine Breer’s artwork, 2 each of 4 scenes, and 8 envelopes.